Bucharest is an unserved destination from Zagreb. MIDT indicates 11,360 passengers travelled between Zagreb and the Romanian capital in 2012 representing a 36% year-on-year increase or 91% of Zagreb's total Romanian market. Dubai is an emerging destination from Zagreb. In 2012, 7,507 passengers travelled between Dubai and Zagreb an increase of 19%. Currently there is no direct service between Zagreb and Dubai. In 2012 MIDT data indicates that 15,495 passengers travelled between Zagreb and Finland. 91% of passengers (14,141) are travelling to/from Helsinki. According to MIDT 12,817 passengers travelled between Zagreb and Ukraine in 2012, this represents a 39% year-on-year increase. 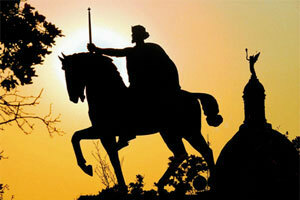 Kiev is the most popular destination, it constituted 66% of the market or 8,434 passengers in 2012. New York is currently only served indirectly from Zagreb. 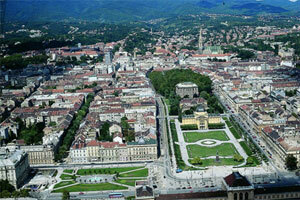 In 2012, 114,103 passengers travelled between Zagreb and the US. 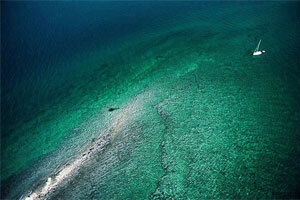 Croatia is an increasingly popular destination for tourists from the US with 173,501 visitors in 2012. Norway is an unserved destination from Zagreb. With 54% of the market Oslo is the leading Norwegian destination, MIDT indicates that 15,363 passengers travelled between the two airports in 2012 which represents a 67% increase on 2012. 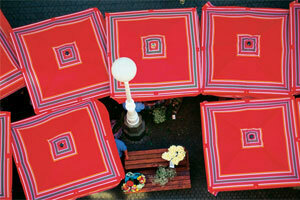 In terms of visitors Croatia welcomed 102,090 tourists from Norway in 2012. There are no direct services between Zagreb and the Baltic States of Latvia, Lithuania and Estonia. 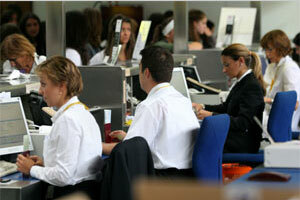 According to MIDT traffic demand between these countries and Zagreb rose by 62% in 2012. Combined Riga, Vilnius and Tallin represent 98% of the market. In terms of visitors to Croatia 42,934 people travelled from the three Baltic countries in 2012. Bulgaria is unserved from Zagreb, the leading destination in 2012 was Sofia, MIDT data indicates 6,352 passengers travelled between the two destinations. 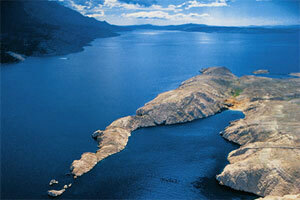 Over 36,000 Bulgarians visited Croatia in 2012. There are currently no direct services between Sweden and Zagreb. 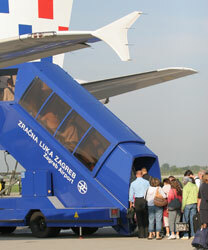 In 2012 MIDT indicates that 47,225 passengers travelled between Sweden and Zagreb. Stockholm is the most popular Swedish destination and constitutes 69% of the market. A total of 135,363 visitors from Sweden travelled to Croatia in 2012. Canada remains an unserved destination from Zagreb with Toronto the principal city market. In 2012 MIDT indicates that 47,745 passengers travelled between Zagreb and Canada, 63% or 30,084 of which travelled between Zagreb and Toronto. 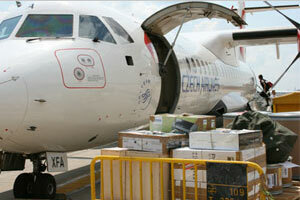 In 2012, 11,624 passengers travelled from Warsaw to Zagreb accounting for 65 % of the total market to Poland from Zagreb. 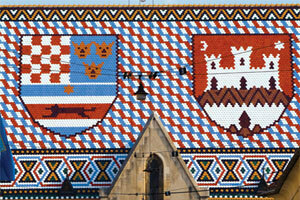 Furthermore, there were 544,134 visitors from Poland to Croatia in 2012. Other potential routes serving large Croatian migrant communities outside Europe (Ethnic Populations) also include New Zealand (40,000). Source: Zagreb Airport, HTZ and TZGZ Photo Archives. Why Zagreb Airport?… simply because Croatia offers the best opportunities for business growth and development. With its excellent infrastructure and stable development Croatia is a Central European country with a population of 4.4 million. It is large enough for the quarter of the workforce to be highly educated, and small enough so that it can geopolitically be the optimal link between the European west and east, as well as the European north and south. In spite of the rapid development of the economy and transportation, Croatian capital Zagreb has retained its charm, and a relaxed feeling that makes it a genuinely human city. Apart from 13 Free trade zones, there are more than 100 business parks and industrial facilities available to investors. Here you are provided with the optimal solutions and opportunities that will make your business flourish and meet all of your demands. Croatia, as both a continental and Mediterranean country, has been fostering its tradition of tourism for more than a century. No matter whether one takes pleasure in gastronomy, communications, arts or sports, Croatia’s offer is bound to meet all demands. As visitors are primarily attracted to Croatia for its coastal resorts and beaches, tourism tends to be seasonal with the inevitable summer peak. The Croatia National Tourism Board and Zagreb Tourist Board & Convention Bureau however are seeking to expand the ‘season’ in Croatia by promoting Zagreb and its cultural offer, arts, incentive, wellnes and health tourism. Ease of making connections, short walking distances and proximity to major tourist attractions in Croatia. ZAG would support any new route to the airport with a 5-year scheme to reduce airline start-up costs. Based on the individual merits of the proposed route growth, the airport may look to offer additional backing through marketing support. In addition the airport has a host of other marketing initiatives – consumer magazine, e-mail database, website banners etc – which would be used to promote any new service. Fast accessibility is one of the main characteristics of Croatia. The longest domestic flight takes only 45 minutes. What in other countries is a two-hour commute in heavy rush-hour traffic, in Croatia takes the equal time for a cross-country scenic journey from one part of the country to the other, from continental Croatia to the beautiful Adriatic coast. 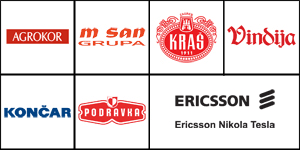 Zageb is home to Agrokor – The Agrokor Group is the largest private company in Croatia and one of the leading regional companies with consolidated total revenues of HRK 26.5bn in 2010 and employing more than 35,000 people. It is the leading food industry and retail group in the cross-border region today. 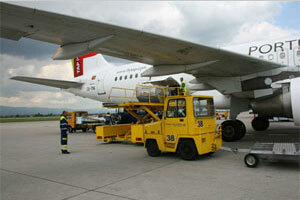 handling agent for passenger, cargo and ramp handling. for handling of all types of aircraft included B747F, C17, AN124, DC10, MD11, etc. of international norm ISO 9001:2008 and Environmental Management System according the requirements of international norm ISO 14001:2004. Few months ago we finished the implementation of new CIS (Cargo Information System) Hermes, which supports IATA global projects Cargo 2000 and e-freight and we are able to provide e-AirWayBills by EDI (Electronic Data Interchange) program. This CIS is the best one in the South East Europe region in this moment. Zagreb Airport has CAT IIIb without slot restrictions, 24 hours operations. The EU state border in only 30 km from Zagreb Airport. ZAG is served by network of local airport shuttle busses, complementing those passengers arriving by taxi and private vehicles. 05: TORA 3252, TODA 3252, ASDA 3252, LDA 3252. Min. connect time: 40 minutes. The Croatian government has assigned a 30-year concession to consortium Zagreb International Airport Company Ltd. (ZAIC) consisting of the French companies Aéroports de Paris Management and Bouygues, to manage Zagreb airport and build a new passenger terminal. The contract was signed on Wednesday April 11th by Deputy Minister of Maritime Affairs, Transport and Infrastructure Zdenko Antesic and Chief Executive of ZAIC Christophe Petit, in the presence of Croatian Prime Minister Zoran Milanovic. According to the agreement, over the next three years a new terminal worth 236 million euros will be built, which would, for the beginning, be able to accommodate 5 million passengers per year. In the second phase, the building will be expanded to a capacity of 8 million passengers. We are confident that the new Zagreb Airport will become a very important platform for the whole Europe. We took the responsibility together with our partners to be of service to the state of Croatia and for this airport to become a link for the cultural, economic and any other aspect. I believe this to be possible because the potential of the airport and its geographic location make it possible. Our ambition is also to make the Zagreb Airport a reference port that will guarantee the quality of service delivery. We think that this can be achieved only by showing deep appreciation to everyone who helped us create the tool that will allow us to build an airport. We have a lot of work, a lot of things will have to get done and we do not run away from it – said Pierre Graf, CEO of ADP. For more detailed statistics, please visit http://www.zagreb-airport.hr/Statistics-g30.aspx#rptPag(1).